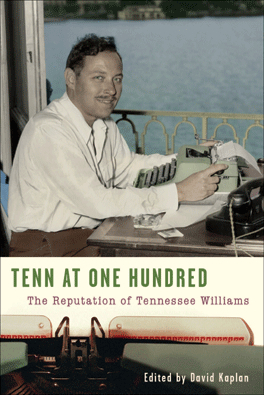 Tenn at One Hundred, edited by David Kaplan, is a comprehensive look at the reputation of America’s greatest playwright Tennessee Williams. Published on the occasion of Tennessee Williams’ centennial, Tenn at One Hundredcontains eighteen essays by authors including John Lahr, William Jay Smith, Sam Staggs, Amiri Baraka, John Patrick Shanley, Kenneth Holditch, Allean Hale and others. Collectively the essays explore Tennessee Williams and his legacy: the plays, the films, reviews, talent, tenacity, good forturne, bad timing, friends, addictions, critics, producers, publishers, directors, actors and biographers that helped to shape Tennessee Williams’ critical reputation and iconic status over the past seventy years. Best known for the groundbreaking plays, A Streetcar Named Desire, Cat on a Hot Tin Roof, and The Glass Menagerie, Tennessee Williams began his writing career in the 1930s as a struggling and unknown poet. 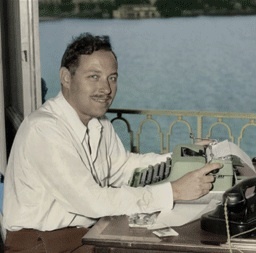 At the time of his death in 1983, Tennessee Williams was the most produced playwright in the country and one of the most ridiculed American writers. What were the events and decisions that created these conflicting extremes of reputation? How did Tennessee Williams come to be known as one of the most shocking writers of the post-war era while he was lauded as America’s poet of human heart? Tenn at One Hundred is the first book to attempt to answer these questions and to begin re-assessing Tennessee Williams’ reputation.